Mila Kunis is an American actress from Ukrainian decent. Kunis is best known for her performance in ‘Black Swan’, ‘Oz the Great and Powerful’ and ‘Bad Moms’. Thanks for viewing this collection of the best Mila Kunis quotes! Don’t forget to share with your family and friends on social media. 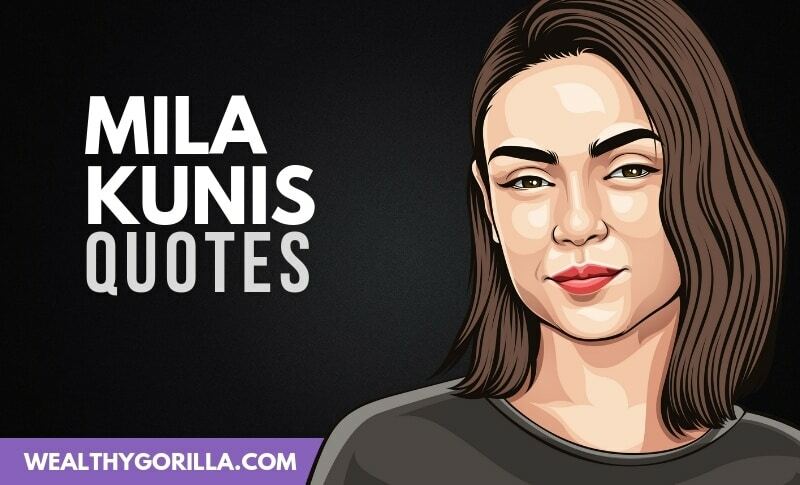 Which are your favorite Mila Kunis quotes? Leave a comment below.